I don’t suppose anyone around here needs to be told that I don’t believe in ripping out to fix a problem when a little creative surgery will do just as well. 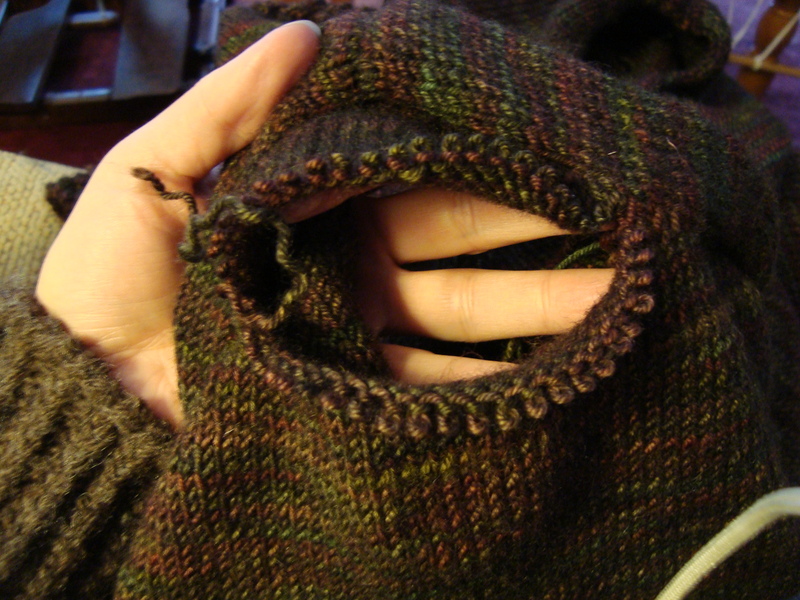 It probably also won’t surprise you that this is especially true when I have two sleeves knit from the shoulder down on size 3’s to fix. 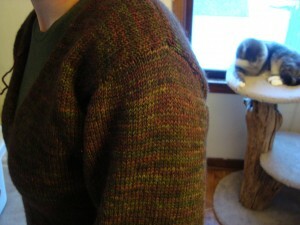 I spent some time this weekend snipping and grafting to rework the shoulders on the almost-done sweater. I’m not entirely sure what went wrong with the shoulder shaping, except that I knit a fitted sleevecap, and then ended up with a sweater that really wanted a drop sleeve. Something about the deep v-neck opening makes the sweater lie lower on my shoulders than I’d expected, making a drop sleeve is much more appropriate. 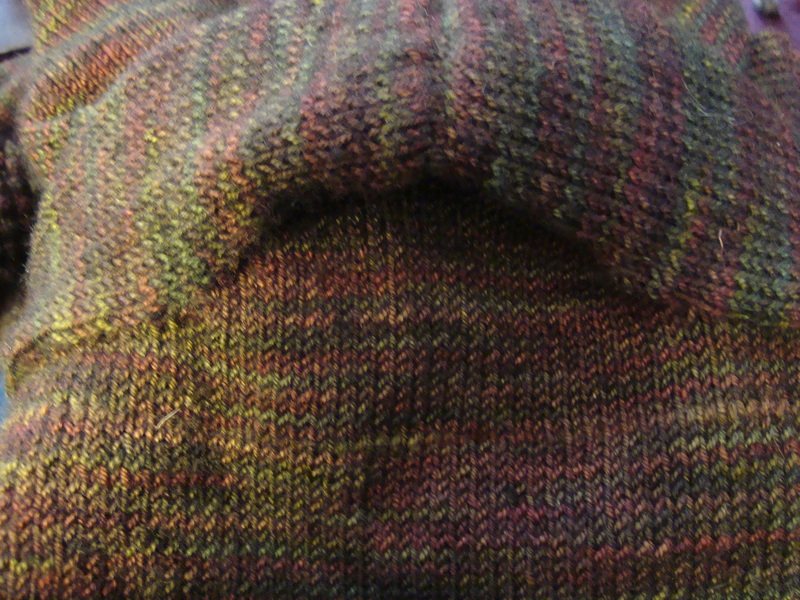 I also made the sleeve cap shaping end too abruptly, which looked fine on the needles but left me with a distinctly bulgy shoulder once things were finished. 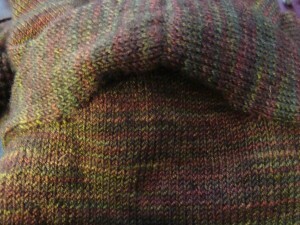 See that extra wedge of knitting? It makes an ugly little triangle shape when the sweater is actually worn. 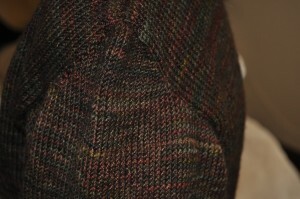 And you can see that tucking that extra little bulge to the inside really helps things to lie flat again. The solution, then, is to remove that little bulge altogether. 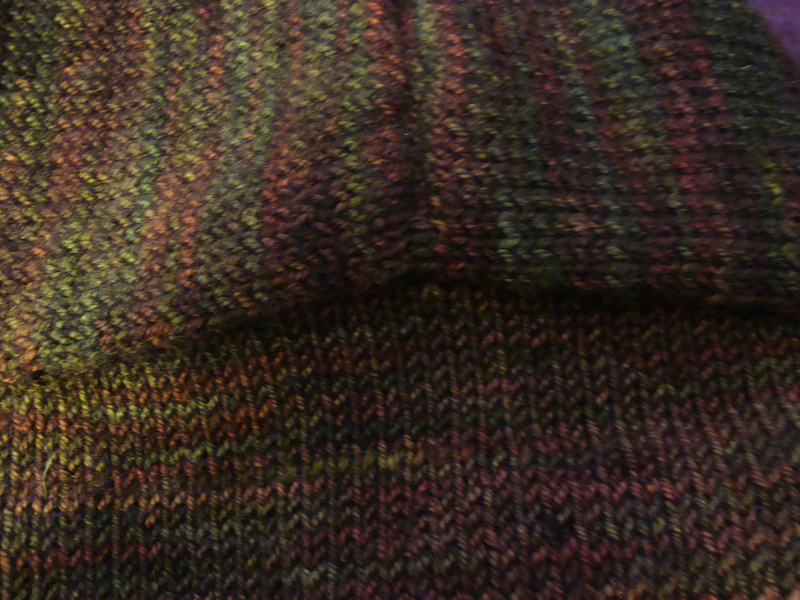 I started out by marking the row of knit stitches that went straight across the shoulder, where I wanted the seam to end up. 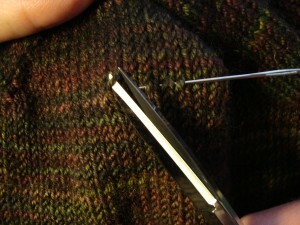 Then, I snipped a stitch. 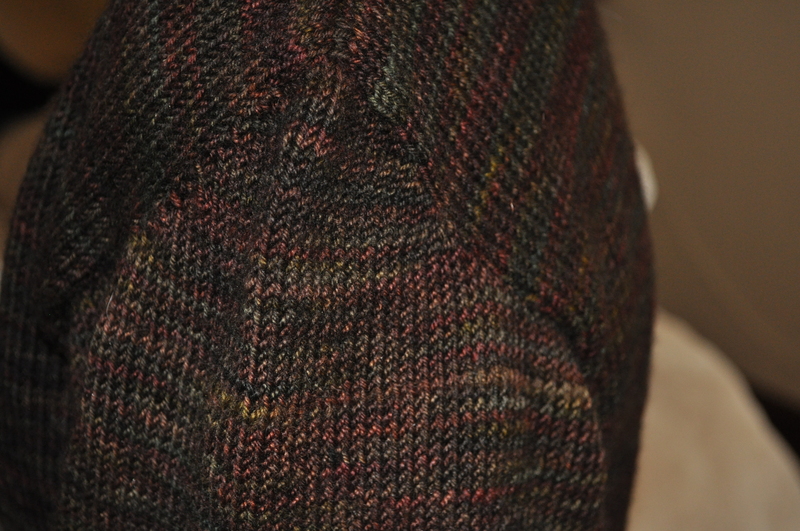 And I unraveled the row. 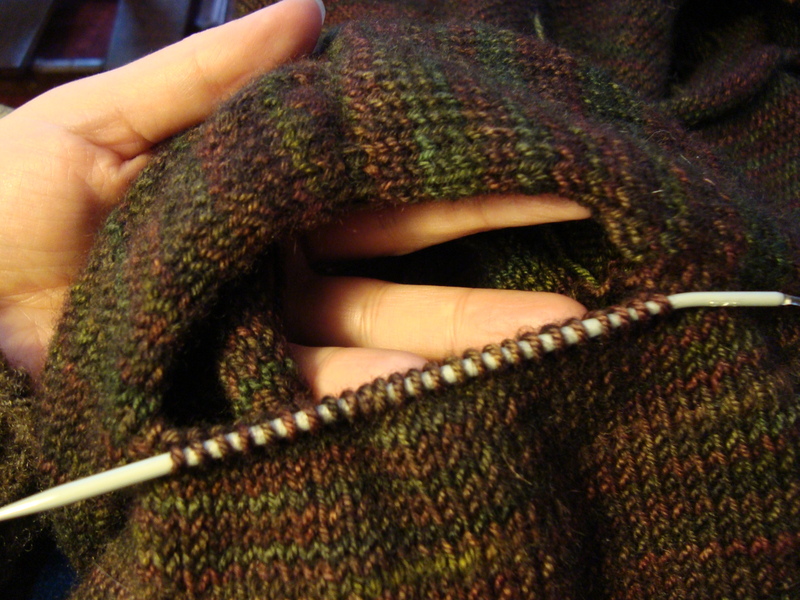 Then, I put the sleeve stitches back on the needle, and pulled out the shoulder shaping, all the way back to the picked up stitches. 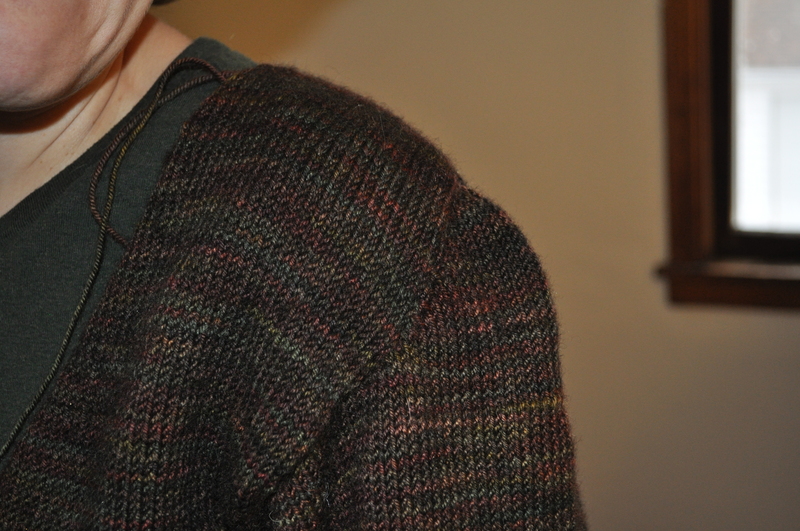 And I grafted it shut again. 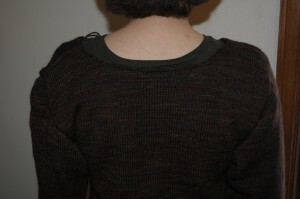 For comparison, here’s a picture of the sweater with one shoulder fixed and the other untouched. Bet you can’t guess which is which. Looks a lot better, doesn’t it? Oh, that does look a lot better. It’s good you didn’t have to rip out the whole thing, too. I’ve not yet tried that method of repair, but I’ve got it stored away in the back of my mind if I should need it…. It looks TONS better! I’ll remember that little trick. Very nifty! It does look much better. I love how you just cut into things and start working, not sure I’d have the same courage. 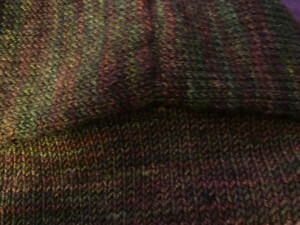 I am more of a rip and re-knit. DesigKnit is powered by	WordPress 4.8.9 . Page generated in 0.296 seconds using 34 queries.